When Google first introduced Google Earth into the market, there was a lot of buzz on the internet regarding the new product by Google. As a matter of fact, Google were kind of stunned by the number of downloads. This is because Google Earth not only elicited interest from individuals, but learning institutions and organizations. While Google Earth has increased in popularity over the years, new features have also been introduced to it so as to enhance users’ experience. If the last time you used Google Earth was three years ago, then you will be amazed at the new cool features introduced by Google over the years that makes Google Earth quite an interesting tool. 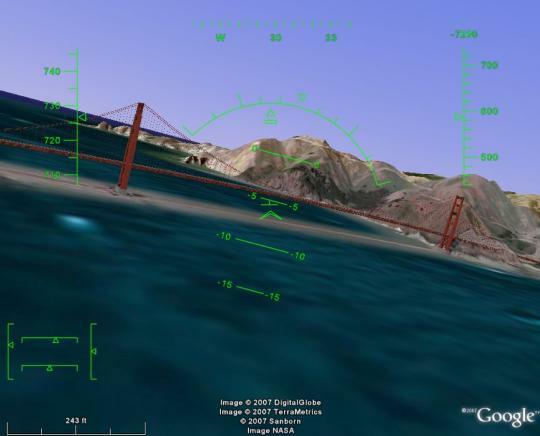 When Google first released Google Earth, a majority of online users were astonished by the 3D structures which they were able to fly round. Nonetheless, the issue was that all the 3D structures were gray. Over the years, Google has provided support for textures on the exterior of the structures and the outcome is nice looking towns. The Photo Overlay is also another cool feature to be introduced in Google Earth. The feature allows for images to hang in the air. Since its inception into the market, Google has introduced a myriad of image updates in Google Earth. Every photo added by Google showcases hundreds of square miles of new, high-quality images. This in turn enables you to see a location as it is currently. In comparison to the images that came with the product a couple of years ago, the new images are first-class. The key feature which differentiates Google Earth from Google Maps is the 3D terrain. By tilting the application, you are able to view valleys and mountains in 3D. Users are given the option to select the quality of terrain they want to see (i.e. lower and high). When Google Earth was first introduced, it showcased assortment of imposing pre-built layers. Over the years, Google has added fresh layers. One of the layers that you will find most interesting is the “traffic layer.” This layer shows users the recent traffic within metro locations. The more you dig into the layers, the more you discover. Google has now introduced Flash animation to Google Earth. This in turn enables users to see descriptive illustrations of what goes on inside the earth. Unfortunately, this feature is only accessible to Windows Users. This feature has enabled users to not only embed YouTube videos, but also enable users to develop flash-based outlines. In case you have not attempted using the Space Navigator tool, you need to do so. This 3D feature turns Google Earth to a totally new toy. Other features introduced in Google Earth other than the ones mentioned above are Sky Mode and Time Animations. By introducing these new features, Google has attempted to improve users experience when using Google Earth. Kady Babs is an Exin Technical Certified and freelancer writer and at present attached with Test 4 Prep. This is Best Source for Exin Certification Exams Preparation. You can try free demos and there is 100% Risk Free and Money Back Guaranteed. Babs has creative writing skills and helping people to get certified on first try.